How fun would it be to do Christmas in Family Matching Disney Jammies! 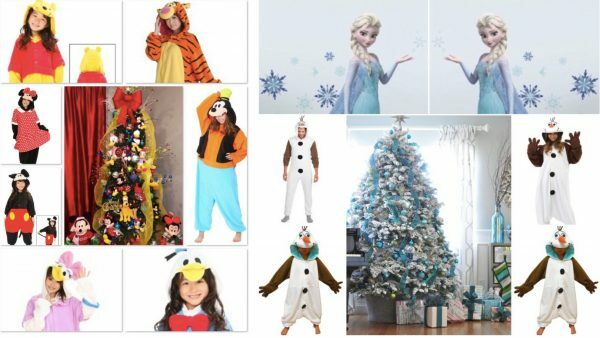 Think Frozen & an All Olaf Family (ok, if you have a little princess, she can wear her Elsa sleepwear!) Consider placing this peel & stick giant Elsa wall decal behind your Christmas tree decorated in blues and whites. Now set up your tripod and insert Olaf clad family into the pic. This picture is definitely holiday card worthy! Or maybe stick with traditional Christmas colors and make it an All Disney Christmas. The best part is that pajamas can double as Halloween costumes.